On one of my first races, I forgot to bring a good pair of socks and ended up running in the basic cotton pair I had worn in the car on the way to the race. Even on a dry day, there are enough water and mud obstacles to keep your feet wet for most of the race, and I felt weighed down the entire time. On top of that, I had some pretty gnarly blisters for the next couple of days after the race. There are a few different styles and brands of socks you can choose from during a Spartan Race. A lot of it will be trial and error to see if you like compression vs non-compression, socks that cover your calves, or something minimal and quick-drying. Often times, the best socks for Spartan Race are truly the socks you’re most comfortable in that don’t hold on to water. Remember, the golden rule is nothing 100% cotton! Below, we list our top five socks that we’ve used and have seen others use during Spartan Races. 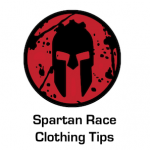 Also, check out our Spartan Race apparel tips for more insight on what else to wear when conquering Spartan Race obstacles. MudGear is one of the tried and true brands that make clothes specifically for races like Spartan Race. MudGear does a great job at both men’s and women’s socks, and their trail running socks do a great job at drying quick after getting hit with water. These socks are great for both men and women, and are designed to take on water and dry quickly. They are thin enough to not need to go up a size in shoes to fit, but provide enough padding to prevent blisters. All around one of the best products to protect your feet. Compression socks are one of those things that you either love or hate. Personally, I love them because they stay up, protect your legs from scratches, and prevent cramping. These socks are thin, so they don’t hold water, but do a great job at preventing blisters on the backs of your heels. If compression and hiding your calves from the elements aren’t your thing, you might enjoy Drymax’s line of crew socks. They come up high enough to protect your heel, but not much else. There is zero cotton in the material, and the dual-layer design protects your foot from getting wet and causing blisters. GO2 makes another great compression sock that is thin and cover your entire calf. Compression isn’t for everyone, but these socks last a long time and are relatively cheap compared to some other models. The added benefit to these is that they come in all sorts of prints so you can showcase a little personality out there. I will first say that I am not the biggest fan of toe socks, but I’ve talked with Spartan Races who swear by these, especially when they get wet (which they will, because Spartan Race obstacles have water). These do have a great double cuff at the top that keeps any debris from getting inside the sock and causing problems. 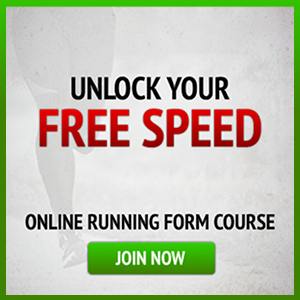 They also have great padding that keep your feet comfortable during long runs.